After a minor setback, NASA's Mars Curiosity rover has analyzed a rock sample in its Sample Analysis at Mars and Chemistry and Mineralogy instruments. And scientists have concluded what we've suspected all along: Mars may have once supported life. According to the findings, sulfur, hydrogen, oxygen, phosphorus and carbon were all present in the powder Curiosity drilled from Mars's surface—some of the key chemical ingredients for life, NASA said. "A fundamental question for this mission is whether Mars could have supported a habitable environment," said Michael Meyer, lead scientist for NASA's Mars Exploration program. "From what we know now, the answer is yes." 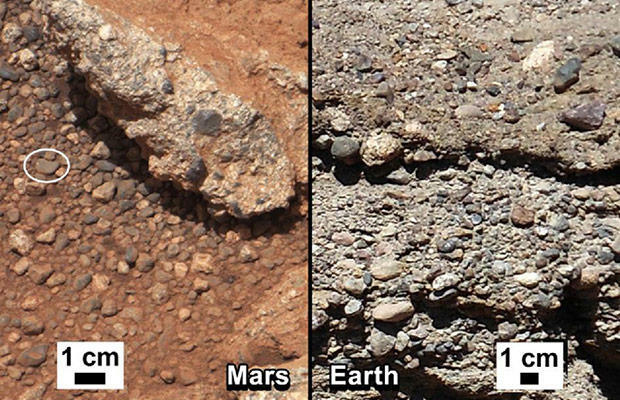 The Curiosity pulled its rock sample from an ancient bedrock located at a network of stream channels near the Gale Crater. Data indicated the area Curiosity is exploring may have been an old river system, or at least a lake bed, that may have one day contained microbes. Not exactly an alien of the E.T. variety, but exciting nonetheless. 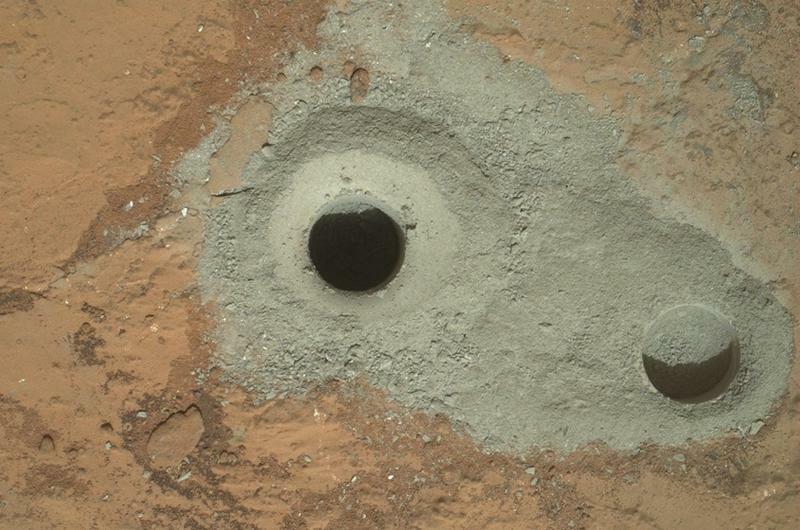 The bedrock Curiosity drilled actually showed evidence of multiple periods of wet conditions, with clay minerals making up about 20 percent of the sample's composition. In the clay scientists were able to identify the presence of calcium sulfate, determining the soil is neutral or mildly alkaline. In addition, scientists discovered a mixture of oxidized, less-oxidized and even non-oxidized chemicals, NASA explained. This discovery is important because it's the same energy gradient some microbes on Earth exploit to live. "We have characterized a very ancient, but strangely new 'gray Mars' where conditions once were favorable for life," said John Grotzinger, Mars Science Laboratory project scientist. Grotzinger said Curiosity's latest discovery is a big one, and expects many like it to come in the future. Now that Curiosity has done initial testing, the plan is to more closely explore Mount Sharp, and hopefully learn more about Mars's potential habitable history.